When you double click on a .terralib file (an Instant Terra component library), Instant Terra automatically launches. See Global library for more information. You can either copy the .terralib file to a folder of your choice or add the components contained in the file as global components, so that they are available directly in Instant Terra. Copy: The .terralib file is copied to the folder of your choice. If an error occurs when copying, a pop-up dialog asks you if you would like to try again. A pop-up dialog confirms that the file has been copied successfully. Add as global components: Global components are enabled for each project. They are installed in a specific folder. The file is added directly to the global components. 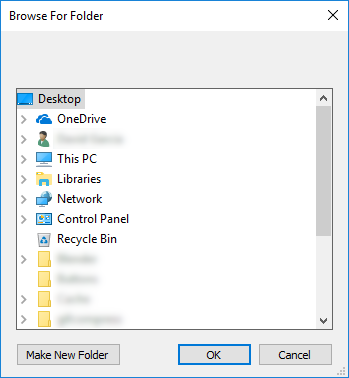 If the file already exists, you can replace it or not.